Written in a friendly and engaging style with practical tutorials and step-by-step examples which show you how to easily migrate your Drupal 6 or WordPress site to Drupal 7. 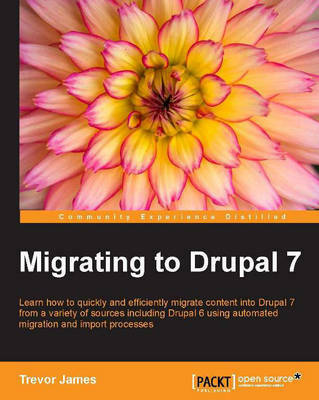 "Migrating to Drupal 7" is for anyone interested in how to move content from an existing website into the Drupal content management system. Both novice and advanced Drupal users will gain practical hands-on knowledge in how to migrate content into Drupal using this book. You will become experts in using the Feeds module to migrate content, and in packaging your code using Features.